Love them or not, you can't deny that Birkenstocks have become a footwear staple for many stylish women. With the rise of "normcore," Birkenstocks and other "ugly" shoes are the comfy-cool footwear of choice. Now, there's a new take on the two-strap sandals that we're expecting to see on the feet of every It girl come fashion week. 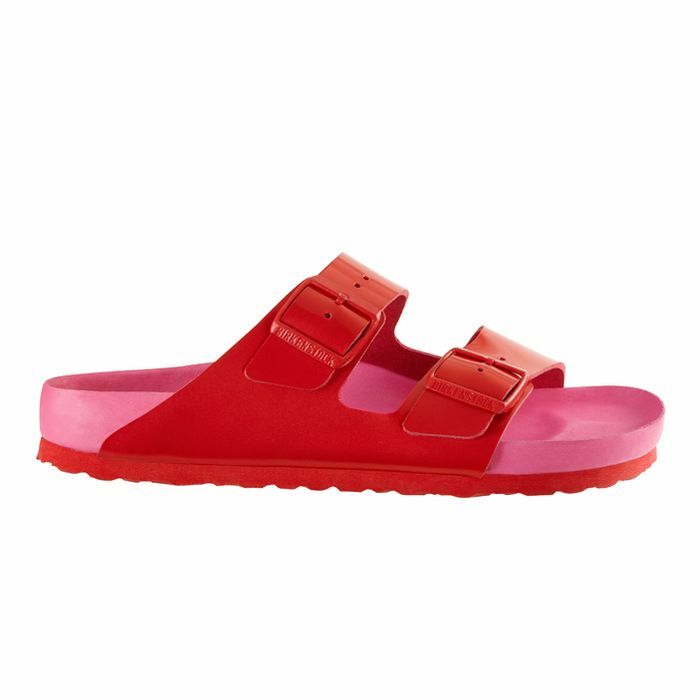 Retailer Kirna Zabête has teamed up with Birkenstock to create a custom pair of sandals in the hues that have taken over 2017: pink and red. The sandals feature red leather uppers (red is the must-have hue for fall) with a contrasting sole in the Millennial Pink hue that has had the internet buzzing all year long. Safe to say if there's one pair of shoes that sums up 2017, these would be them. So make a statement and try them on for size. Shop the new Birkenstocks below, and then shop more designs from the popular brand! These red-and-pink sandals are so on trend for fall. Stand out with these cool silver sandals. Take these blue sandals to the pool with you. Studs add an edgy vibe to these sandals. 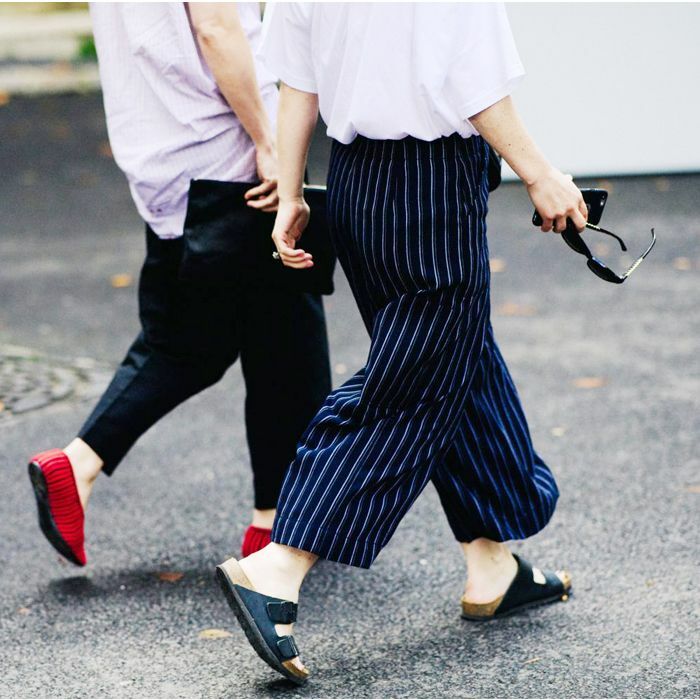 Are you buying red shoes for fall? Let us know in the comments!